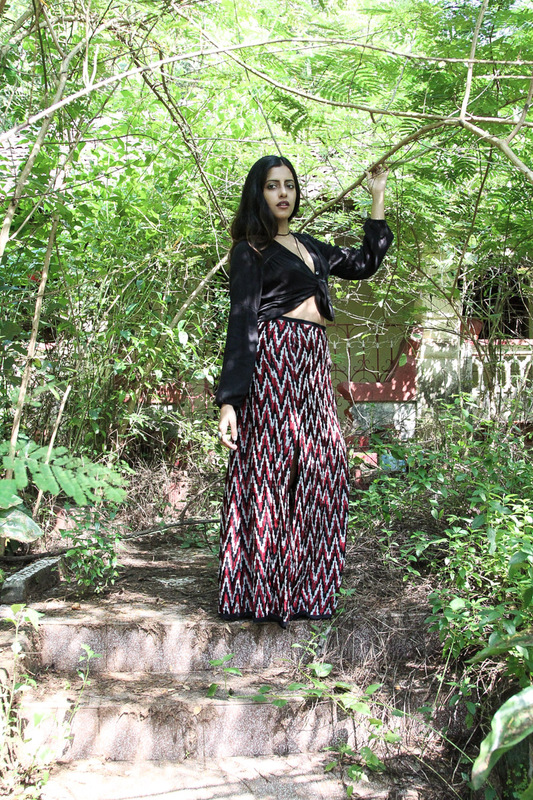 Indian clothes tend to be so fussy with all the heavy layers of fabric & embroidery, and sometimes you just want to wear something a little more edgy & relaxed. That’s when boho Indian wear comes into the play, with emphasis on texture and cuts instead of glitz and glam. 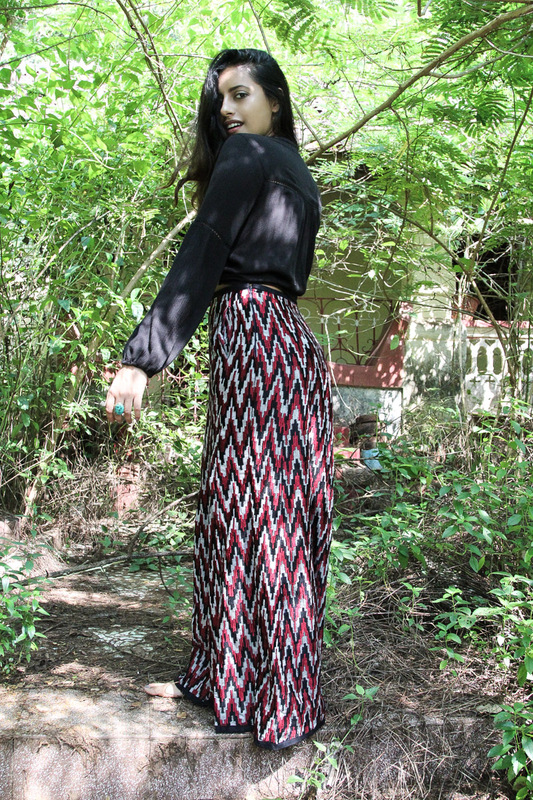 I’ve paired this chevron woven lehenga skirt by Maiti Shahani with a full sleeve boho blouse by Hollister that’s been knotted up. If this is too daring for you, feel free to button it all the way up and then add a knot. A body harness choker adds a little bit of edge. Hair & makeup has been kept raw and natural (and I’m not wearing shoes as usual haha). 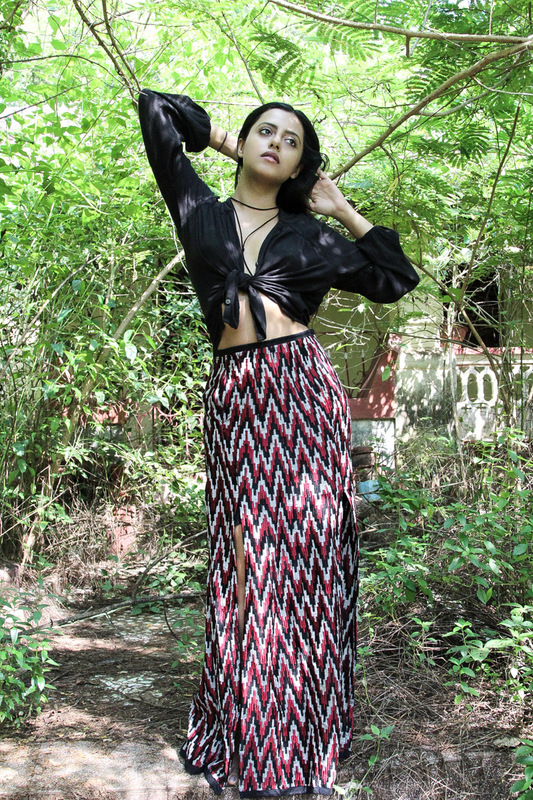 I would wear this to a casual beach wedding, a semi-formal cocktail night, mehendi function or even with boots to a music festival. If you want to make this more Indian then simply add some antique silver jewels like a chunky necklace or long earrings. There are many ways to dress ethnic, and they don’t need to involve gold, diamonds or shimmer. Casual Indian wear looks fabulous in off-beat cuts, fabrics & styles.